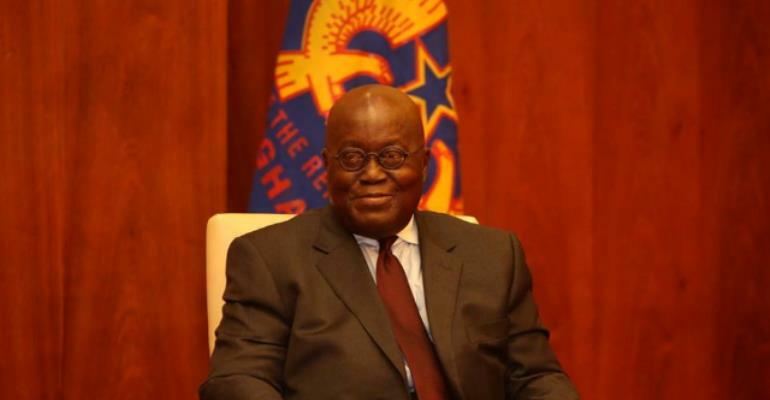 The Wa West Constituency of the opposition National Democratic Congress (NDC) has chastised President Akufo-Addo and the NPP government for denying the people of the Constituency the development they deserve. In a statement signed by the Communications Officer of the party Stephen Aseon, they accused the current government for failing to initiate the construction of a single infrastructure project in the Constituency for the past 2 years. They indicated that the much touted Planting for Food and Jobs programme which was to help farming communities like Wa West, has been rendered 'useless' because of the activities of NPP Stalwarts in the Constituency. They alleged that "Fertilizers meant for farmers have been smuggled to Burkina Faso by executives of the ruling party in the Constituency to the detriment of the ordinary farmer and nothing has been done to the perpetrators of this crime". On Security, they expressed disappointment in the government for rendering the Constituency unsafe, with armed robbery becoming a daily activity in spite of the promise by the NPP party then in opposition, to ensure the peace and security of all Ghanaians. They cited the resident murder of a man and his son at a town called Domagyili in the Wa West District as an example of the many threatening issues the Constituency is confronted with and indicated that nobody has been arrested in relation to the above incident. They further alleged that the District Chief Executive for the area, Hon Laabiiri Sabo had spent One Hundred and Six Thousand Ghana Cedis (GH￠106,000) to renovate his official bangalow and yet abandoned it and living elsewhere. They therefore called on the the Special Prosecutor to look into the issue and prosecute the District Chief Executive. The Wa West NDC, further called on President Akufo-Addo to fulfill his promises to the good people of Wa West and relieve them off the despondency they have been trashed into. They mentioned the Uncompleted Community Day Senior High School at Dorimon as one of the many projects started by the erstwhile John Mahama led government which must be completed to create the opportunity for many Junior High School leavers in the area to get access to Secondary education. The also asked the President to fulfill his promise of connecting 123 communities in the District onto the National grid and complete the construction of the Eggu, Gurungu and Vieri Health Centers, which they claim was about 88 to 95 percent complete before President Akuffo Addo took over office. This press release is in response to the call by the president H.E Nana Akuffo Addo for us to be citizens and not spectators. As a responsible opposition party we have taken up the challenge to point out the low level of development in the Wa West district since the NPP assumed power in 2017. As much as we will commend government for the continuation of the progressively Free Senior High School in a larger scale as enshrined in the 1992 constitution, the people of Wa West are not enthused about the level of development under the NPP government in the District. It is therefore necessary to engage the media to help cry for help on behalf of the people of Wa West. PLANTING FOR FOOD AND JOBS. Farmers were very happy to receive the news of Planting for Food and Jobs aimed at assisting farmers to improve upon their productivity in the country. Little did we know that the hopes of farmers in the Wa West were going to be dashed as fertilizer meant for the planting for Food and Jobs programme were stolen from the Depot in Wechiau by people allegedly affiliated to the New Patriotic Party. It is interesting to note that the DCE Hon. Laabiiri Sabo was not left out in this accusation as local people reported seeing his official vehicle being used to convey some of the fertilizer to some communities. What is even more worrying was the level of smuggling of the fertilizer across the borders to neighboring Burkina Faso to the detriment of the ordinary farmers in Wa West District. The Hon DCE who promised to investigate and punish the perpetrators of this criminal act is yet to report of any progress made in that direction to the good people of Wa West. “If guinea fowls with wings were allegedly said to have flown into Burkina what about fertilizer in Burkina without wings” Wa West deserves better. In 2016, the manifesto of the NPP stated that “The NPP Government will secure peace and security for all Ghanaians. Under the NPP Government, Ghanaians will feel safe on the streets and in their homes. Ghanaians will go about their daily business in the secure knowledge that their persons, properties and lives are safe under an NPP Government”. Unfortunately this is not the case in Wa West as there are daily reports of armed robbery across the District. Fresh in memory is the gruesome killing of a man and his son in their own residence at Domagyili in the Wa West District and up to date no single sole has been arrested in connection with this barbaric act. What is rather shocking is that the DCE as the chairman of DISEC refused to live in his official Bungalow citing insecurity as the reason. Rather strange is the fact that out of these Torturing and Excruciating Socio-economic milieu a whopping amount of 106,000gh cedis was used to renovate the official Bungalow of the DCE yet Hon Laabiiri Sabo did not see reason to use the bungalow. It is our considered opinion that the Special Prosecutor should take interest in prosecuting Hon. Sabo Laabiir for causing financial loss to the state. The apparent helplessness of NPP government and Hon. DCE in dealing with insecurity in Wa West was the weird solution proposed by the DCE to install CCTV cameras to fight armed robbery. This simply shows a lack of understanding of security issues in the district. Comrades and Friends in the Media, it is important to note that Hon Edward Laabiiri Sabo was the first DCE in Wa West to have had 100 percent endorsement from the Hon. Assembly members and ironically he is also the first DCE to have lost popularity and touch with Assembly members in less than two (2) years as well as the DCE under whose stewardship is the District Assembly failed to approve the 2019 Budget on the 26/10/2018. This is due to the super incompetence, disrespect and disregard for Assembly members in the District. Let no one cite the issue of procurement of motorbikes for Assembly members as the reason for the inability to pass the 2019 budget of the District Assembly as it was not part of the agenda. Hon Edward Laabiiri who is a beneficiary of a District Development Fund (DDF) he inherited from the former NDC administration which he used to construct a road from Ga junction to his home village Maadoteng could not qualify the District to benefit from the DDF for 2018. In fact the Assembly has been operating illegally in revenue mobilization since there was no determination of the Fee Fixing resolution which expired on 31stDecember, 2018. 1. To complete the COMMUNITY DAY SCHOOL (E- BLOCK) project at Dorimon for his pledge to finish it before September,2018 and place students into the school for the 2018/2019 academic year has far elapse without any show. 2. As if this disregard was not enough, the regional minister Alhaji Alhassan Suleman (now former) at the “SEONTAA BOOR” (A Daga-wiile Annual Festival) in Vieri stated that documentary preparations are far advanced and by the beginning of February they will kick start the construction of an Agric College in vieri, tarring of the Ga- Wechiau- Dorimon- Wa road, wa –vieri –Tanvaare road and the construction of other several roads in the District. On same venue and date (i.e 07/01/2019) the Wa west DCE also mention that by the end of January Vieri will be connected to electricity. The Good people of wa west will never forgive the NPP for not seeing any sign of work on these projects. 3. Wa west is a farming community and we therefore demand a concrete explanation on when specifically the people of the district will see the construction of ten dams allocated to them. 5. Fast track the completion of the Eggu, Gurungu and Vieri health centres which were about 85 – 95 percent complete respectively and several uncompleted projects in the District. 3. Purchasing of seven boxer motorbikes for the district health directorate, expansion of OPD in the Wechiau District Hospital, Donation of mental waiting chairs across numerous health centers and CHSPs in the District and many other projects in the Health Sector. In fact, it is public knowledge that Hon. Joseph has been given a Citation of Honour in this regard. The priority of the NDC in Wa west will always be focused on the Growth and Development of the entire district and its people and Ghana as a whole.